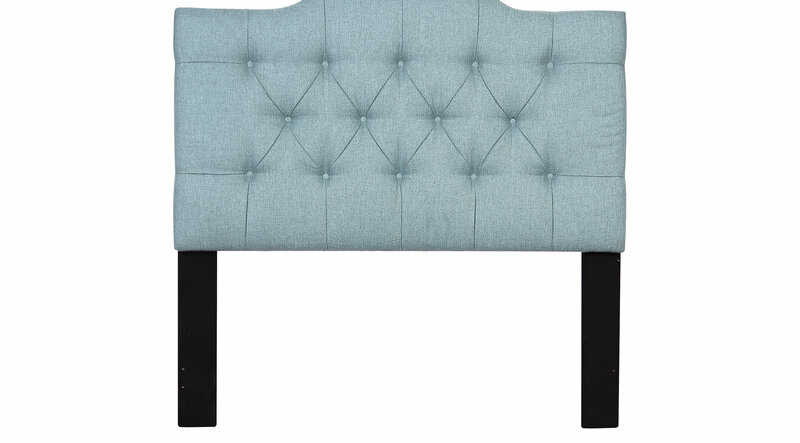 Tufted grooves and thick padding make the Wren Court blue king upholstered headboard not only beautiful, but functional as well. Use it as a comfortable place to read the latest novel, as it provides a vocal point for your bedroom. The blue 100% polyester farbic adds a spa-like calming element to your color scheme. The adjustable headboard height allows for an easy change to fit your specific mattress set.